Breeda O’Leary-Brassfield practices in the areas of municipal law, estate planning, and complex civil litigation, including wrongful death, motor vehicle accidents, and no-fault first and third party litigation. Her criminal defense experience is extensive, as she has worked in the Federal Defender's Office and the State Appellate Defender's Office assisting in the representation of criminal defendants at the federal and appellate levels. Breeda joined the firm right out of law school in 2011, and she has been a valuable contributor to the firm's civil litigation team ever since. Since joining the firm, she has further sharpened her skills prosecuting cases for the city of Westland. 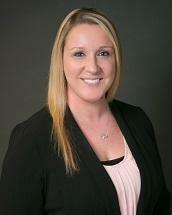 Breeda graduated in the top five percent of her class from Thomas M. Cooley Law School in 2011. While in law school, she was a Senior Associate Editor for the Thomas M. Cooley Law Review. She also served as a member of the Grade Appeals Board and the Criminal Law Society. She earned her undergraduate degree from James Madison College at Michigan State University in Political Theory and Constitutional Democracy. Breeda gives back to the community through providing free legal aid to seniors every other month. She also sits on the Community Living Services Holding Company Board, which assists and advocates for people with disabilities to live a life of freedom and independence.